Our boutique stocks quality recycled clothing/secondhand garments - sometimes even New-With-Tags. We list popular brands at great prices, available in baby sizing to adult. Also collectibles/lifestyle items across the relic, vintage and retro categories. 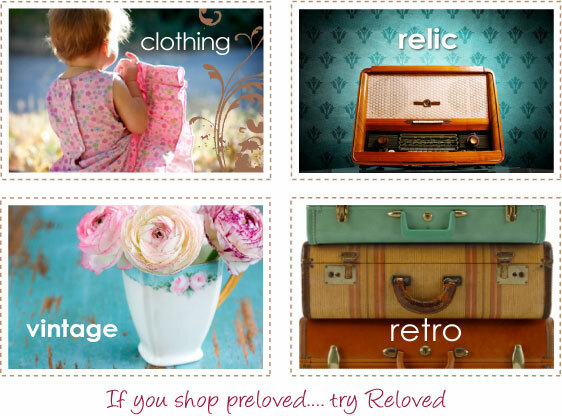 Reloved is passionate about recycling and sustaining our environment. So shop, save, smile and make some positive changes in your world today.